In 1992, Donna started Donna Burdic Jewelry. Each handmade, custom piece of jewelry is hand fabricated with sterling silver, 22k gold bymettal and semiprecious stones. Donna Burdic’s mother was a Commercial Artist and influenced her eye for design. From the age of two, she was given art materials to work with. Her current work has developed through an apprenticeship here in Nebraska. 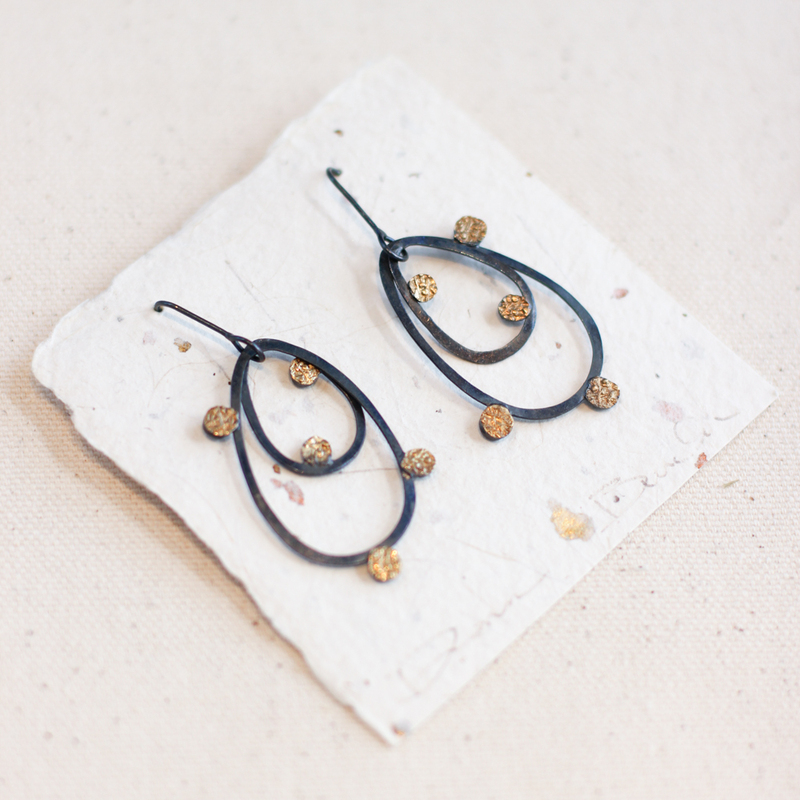 Burdic’s designs are inspired by beauty and nature. This is what I love doing, working with my hands and wearing something that makes me feel wonderful. If it makes me feel good I would think it would do the same for others.